6. 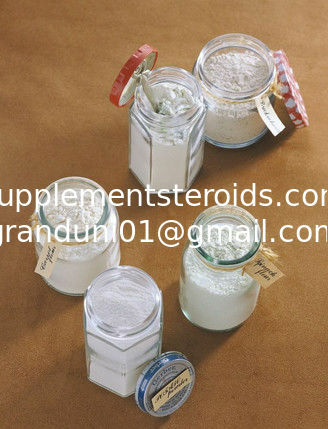 Usage: the goods to anti-estrogen fertility inducer, the objects in dysfunctional uterine bleeding, polycystic ovary, menstrual disorders and drug-induced amenorrhea and other gynecologic diseases;It is used as a first line defense against breast cancer. Nolvadex is an antagonist of the estrogen receptor in breast tissue via its active metabolite, 4-hydroxytamoxifen. In other tissues such as the endometrium, it behaves as an agonist, and thus may be characterized as a Selective estrogen-receptor modulator. Tamoxifen is the usual endocrine (anti-estrogen) therapy for hormone receptor-positive breast cancer in pre-menopausal women, and is also a standard in post menopausal women although aromatase inhibitors are also frequently used in that setting. Nolvadex is effective against estrogen, it is not our strongest available remedy. We now have the drugs Arimidex, Femara, and Aromasin available to us, which notably prevents estrogen from being manufactured in the first place. Altering the effect of estrogen in the female body can cause a level of discomfort, so anti-estrogens are most bearable when used after the point of menopause. Since Nolvadex is milder in comparison, it is more widely applicable and usually the first treatment option. 2) Market feedback and goods feedback will be appreciated, meeting customer's requirement is our responsibility.